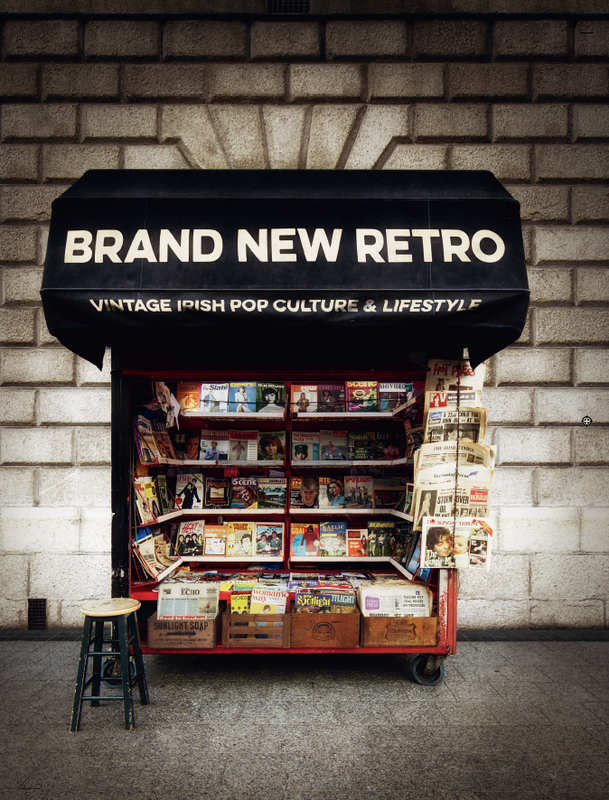 If you’re interested in Irish pop culture, you will already have come across Brand New Retro. Since 2011, the site founded by Brian “Doug” McMahon has curated and digitised thousands of images, articles and adverts from an ever-growing archive of vintage magazines and publications from the pre-internet age. Along the way, it has dusted off a fascinating throve of unlikely nuggets (it doesn’t get more unlikely than a Gay Byrne column in the Sunday World on Stiff Little Fingers) to present sides of Irish life which have never seen the light of a screen or scanner in years. To co-incide with the publication of a new book featuring the greatest hits from the site and new discoveries, the Brand New Retro team – Brian “Doug” McMahon, Joe Collinsand Sinead Kenny – will join us at Banter to talk about the motivation behind the site, the discoveries they have made about the early years of Irish pop culture, the evolution of Irish magazine and advertising design and the changes in how media has covered pop culture over the decades. Banter’s evening with Brand New Retro takes place at MVP (Upper Clanbrassil St., Dublin 8 ) on Wednesday November 25. Doors open at 6pm and the conversation begins at 6.30pm. Tickets are available here. The Brand New Retro book is published by Liberties Press and goes on sale in November. Copies of the book will be on sale at Banter on the night.